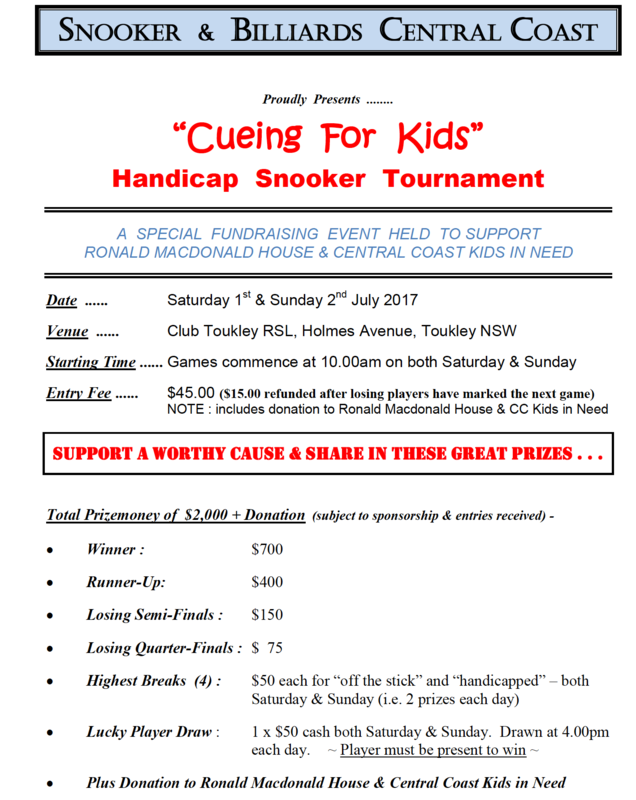 SBCC’s annual charity fundraising snooker tournament, known as Cueing for Kids, will be held at Club Toukley RSL on 1st & 2nd July. Please refer to flyer for details. We have had a good response from Newcastle players to two handicap snooker events conducted at Mingara this year, and it would be great to see this support continue for this worthy cause. Billiard tables at Club Toukley have been upgraded in connection with the recent State Minor Snooker Championship held there and are now providing significantly improved playing conditions. All players and supporters will be warmly welcomed.